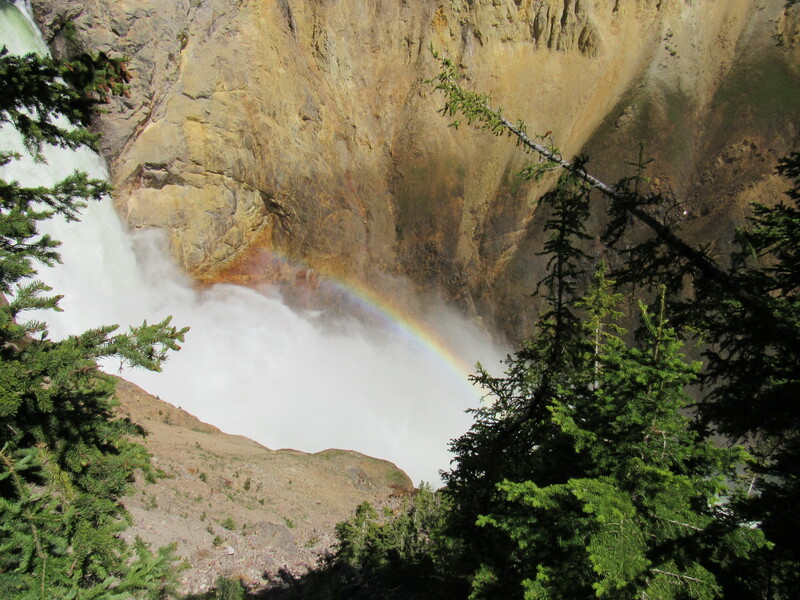 Did you start our journey with us by reading my Yellowstone with teens article? This is the start of our 4th day, so be sure to read Day 1 Canyon Village, Day 2 Old Faithful & Day 3 Lamar Valley!! So long Gardiner, it’s time to make our way south. We will make our way to Grand Teton by the end of the day!! As we head to the East Side, we make our first stop at Tower Fall. 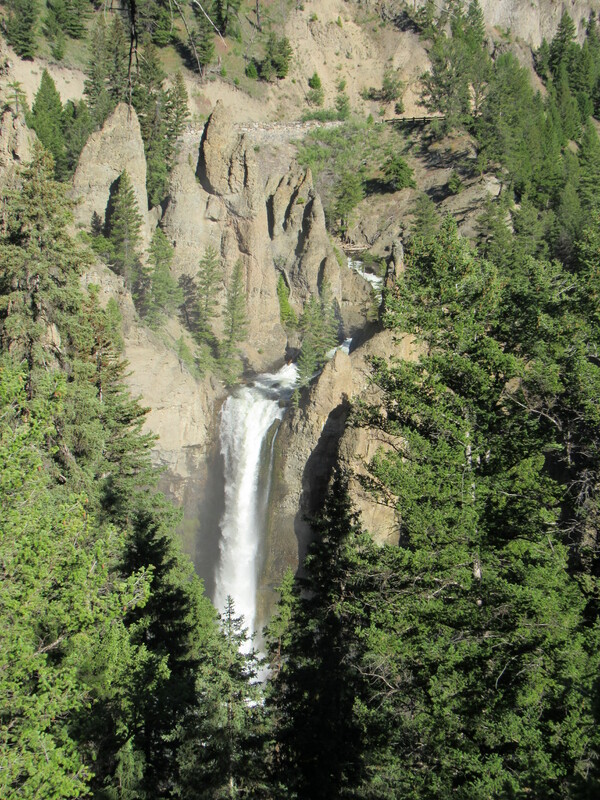 Approximately 1,000 yards (910 m) upstream from the creek’s confluence with the Yellowstone River, the fall plunges 132 feet (40 m). Its name comes from the rock pinnacles at the top of the fall. It gets busy and chaotic, so it’s a perfect morning stop. The viewing area is small, but you get a great glimpse of the falls. There’s an optional hike down, and we started it, but we were told by those headed back up that you couldn’t see much down there, so back up we went! We made our way back to Canyon Village and the drive was beautiful. Very mountainous. There are a few overlooks on the way, so we stopped at a couple to snap some great pictures. 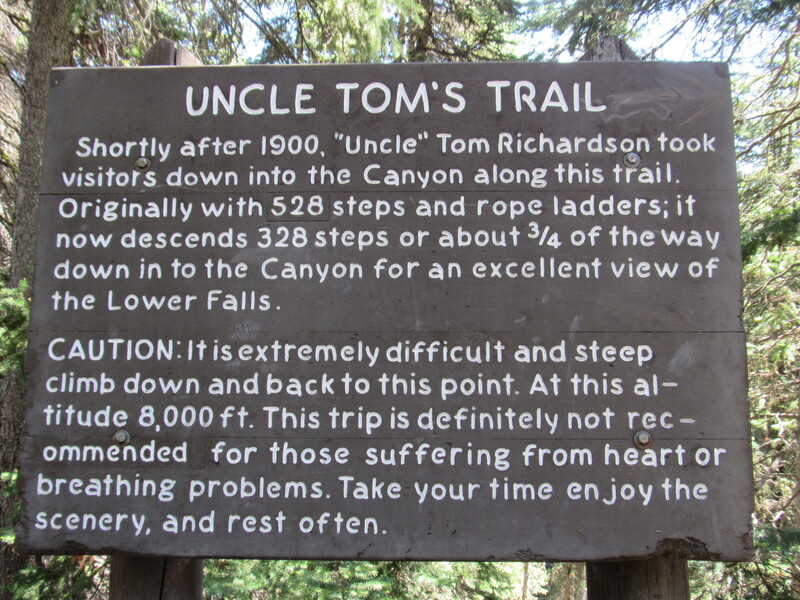 The plan, hike down Uncle Tom’s Trail to get a view of the bottom of the famous falls. Usually you can grab the trail from a parking area at the top, but it was closed for construction. We caught a trail from Artist’s Point which added quite a bit of distance, but it was beautiful. Once we were at the top of the trail, we saw that it was 328 stairs down. When we arrived at the bottom, the spray from the falls made a beautiful rainbow. 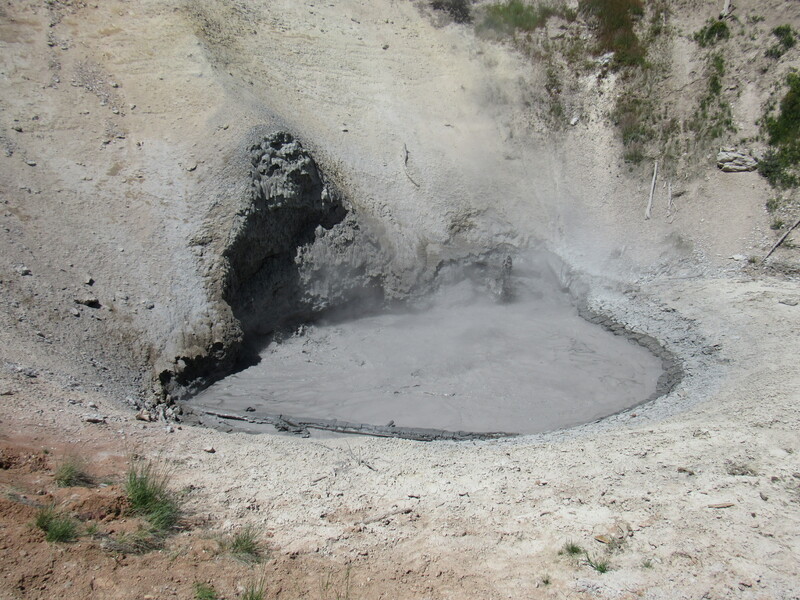 Once we made our way back up, we drove to the Mud Volcano area. We didn’t walk the entire boardwalk, but we were sure to see Dragon’s Mouth and Mud Volcano. We started our drive to Yellowstone Lake and found the perfect picnic area to have our packed lunch. It overlooked the lake with views of the mountains in the background. We stopped at the West Thumb Geyser Basin and got to hear a Park Ranger talk about the large volcano we were standing on and how the lake was formed. 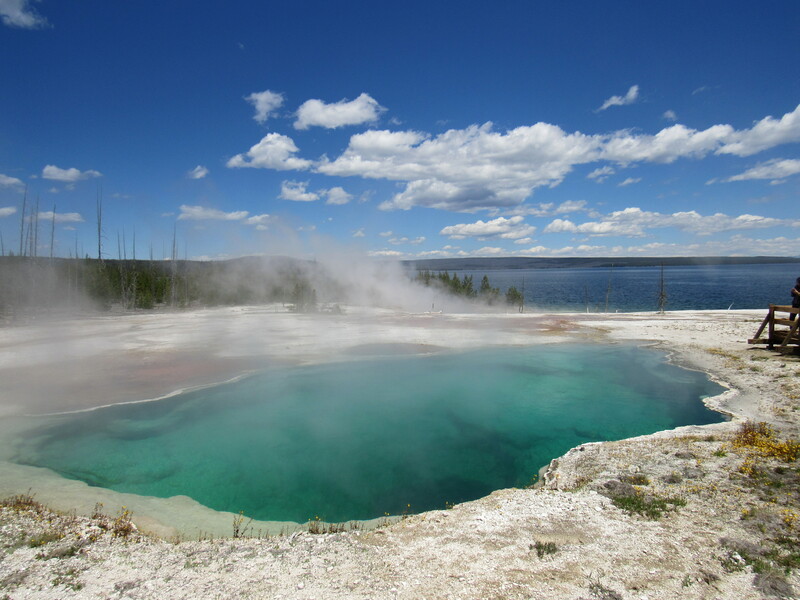 As we walked the boardwalk, we saw geysers and springs with amazing colors. Now, on to Jackson & Grand Teton we go!!! Are you ready?